A regional daily asked its readers to choose the front page headline for today’s edition by staging a vote on Twitter. 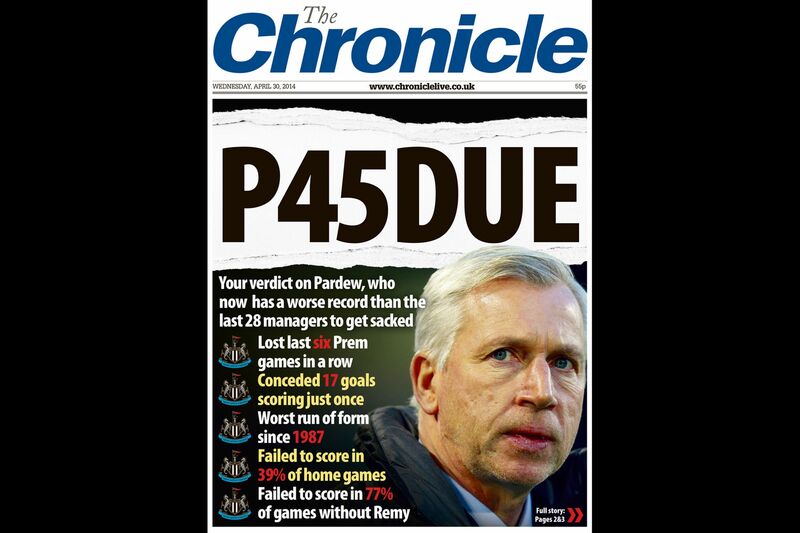 Newcastle daily The Chronicle invited readers to submit headline ideas for a front page on the future of beleaguered Newcastle United boss Alan Pardew. 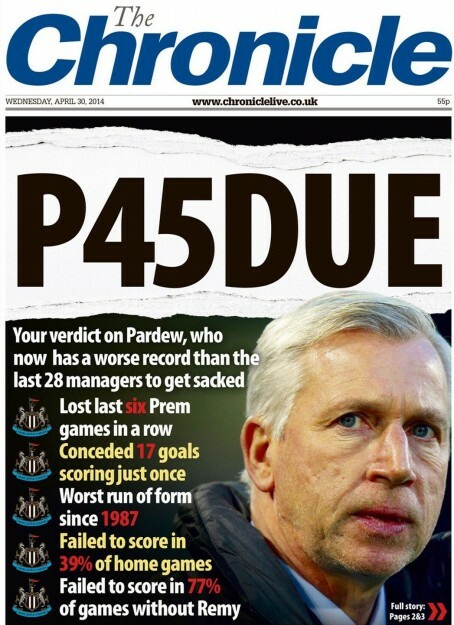 The Trinity Mirror title drew up a page detailing Pardew’s recent failings, pointing out that he now has a worse record than the last 28 Premier League managers to be sacked. But it left the main headline space blank inviting readers to supply suggestions of their own via social media. Ideas included ‘Only six more years of this’ – a reference to Pardew’s seven-year contract – and ‘If Sports Direct sold managers’ – a dig at owner Mike Ashley who also owns the sports retail giant. But eventually the paper chose a play on the manager’s name – P45DUE – as the winning contender. Chronicle editor Darren Thwaites said: “We knew we needed to capture the public mood but we didn’t have a clear idea of how to do it. In the end we decided to let the public decide. “Our designer Gary Beckwith created a front page with all the relevant bulletpoints, leaving the headline blank. The response through both Twitter and Facebook was superb. Gary quickly drew up the best suggestions and we put them out on social. “In the end it was a straight choice between P45DUE and Only Six More Years Of This – so we had a quick-fire Twitter vote and the P45 line won hands down. To be honest, we would have never come up with that line without our readers’ help. The paper said on its Twitter feed that more than 300 of its Twitter followers had voted for the winner. Some of the other front page suggestions can be seen here. In an inside story, the paper reported that fans had made their feelings clear that it was time for Pardew to go. A string of six Premier League losses – the club’s worst run since 1987 – culminated in a 3-0 defeat to Arsenal on Monday night. I wonder what a front page about the failings of newspaper managements might look like.